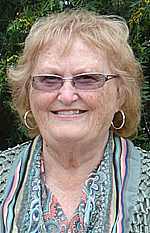 NEW ULM — Marlys Rosenau, 70, of New Ulm died Wednesday, Aug. 1, 2018 at her home. Funeral service will be 11 a.m. Monday, Aug. 6, at St. Paul’s Evangelical Lutheran Church in New Ulm with Pastor Timothy Smith officiating. Burial will follow in the St. Paul’s Lutheran Cemetery. Visitation will be 4-7 p.m. Sunday at the Minnesota Valley Funeral Home SOUTH CHAPEL in New Ulm and will continue for one hour prior to the time of service at church on Monday. Marlys is survived by her husband Emil Rosenau; daughters, Jill (Bryan) Peterson of New Ulm and Marissa (Randy) Jensen of Comfrey; grandchildren, Ashley (AJ) Plummer, Austin Peterson, Jade Jensen, Houston Jensen and Bryce Jensen; one sister and five brothers; and many nieces and nephews. She was preceded in death by her parents; two sisters and three brothers. Marlys Ann Hennessey was born Oct. 22, 1947 in Hutchinson to Ray and Irene (Hopman) Hennessey. She was a graduate of Grove City High School. Marlys was united in marriage to Emil Rosenau on Nov. 13, 1971 in Hutchinson. After marriage they resided in New Ulm where she was employed at Martin Luther College for 35 years before retiring. She enjoyed gardening but her real passion was spending time with her grandchildren.